Screen Ireland and Creative BC (British Columbia, Vancouver) have entered into a relationship to co-develop a number of film and television projects. This co-development will enable up to four projects access development finance from both territories. The intent of this financing is to foster film and television production between Irish producers and producers based in the BC area. The total value of the funding available is CA$150,000*. The maximum amount available to any one project CA$40,000 and funding will be allocated on a 50/50 basis from both agencies. Projects require the involvement of both an Irish resident producer(s) and a BC resident producer(s). Applicants will first need to apply to Screen Ireland with their project. If approved, an application will then need to be made to Creative BC by the BC resident producer(s). *euro amount will be applied on the date of award. Applications can be made by Irish producers (independent production companies registered in the Republic of Ireland which have an office and staff based in the Republic of Ireland) who have partnered with a BC resident producers(s). An official international co-production agreement will need to be in place between the Irish and BC Company and this must be evidenced from the application stage. There must be clear access to the necessary rights in any material that is to be adapted for the screen, and an agreement with the screenwriter they wish to commission. Applications can be made by emailing applications@screenireland.ie with the subject line “Screen Ireland-Creative BC International Co-Development Fund: PROJECT TITLE”. The deadline for receipt of applications is 30th of September 2018. Find out more here. Dublin Port and the Little Museum of Dublin have announced a new commissioning project in association with Screen Ireland to give artists and filmmakers a unique platform to showcase their work at the museum in telling the story of Dublin. The winning project will receive €20,000 to produce a new short film, which will be seen by over 100,000 visitors to the Little Museum in 2019. Up to eight minutes long, the “Port Short” will celebrate the city of Dublin, highlighting aspects of our culture and heritage that separate the city from other capitals in Europe. Both enlightening and entertaining, the film will enhance public understanding of the city’s evolution as well as provide an amusing introduction to Dublin today. To apply for Port Short 2019, new, experienced and up-and-coming filmmakers are invited to submit expressions of interest as part of a competitive process no later than 5pm on September 13th, 2018. The winning filmmaker will be announced in September 2018. 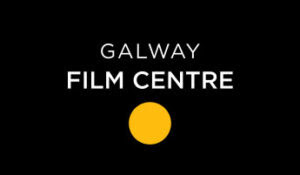 Galway Film Centre in association with the Broadcasting Authority of Ireland and Screen Training Ireland have announced a new writing mentorship scheme aimed at writers from and/or currently based in the WRAP* counties Clare, Donegal, Galway, Mayo, Roscommon, Sligo. This scheme is in association with the Broadcasting Authority of Ireland and Screen Training Ireland. Film Mayo, a Mayo Arts Service, Mayo County Council, initiative, invite submissions for a residency award for an emerging Mayo born or based filmmaker. The aim of the Film Mayo Creative Ireland Residency Award is to benefit the successful filmmaker in their own practice. This residency award will allow the emerging filmmaker the time to develop new work, dedicate time to research, develop new ideas and to work with the local community. A key component of this residency award is that it has a Mentoring aspect to it, which will support the filmmaker. This residency award may suit for example, an emerging screenwriter, director, producer, actor, animator, technical crew, those involved in pre or post production or a film artist. This list is not exhaustive, but does indicate some of the possible areas that applicants could be working in. •Timescale of residency award September – December 2018. •€6,000 Award to successful filmmaker. •Up to 15 hours of Mentoring in total from the expert panel which consists of a Screenwriter, a Director and a Producer. •Use of Ballina Arts Centre Facilities by filmmaker. •Could culminate in publicly accessible work. Wexford County Council Arts Office in association with ‘Bodecii Film’ have announced a new Film Fund Award. The aim of this annual award is to provide funding and support to filmmakers looking to develop ambitious and creative short films based in the County Wexford region. The focus of this award for 2018-2019 is on filmaker/writer collaborations and is titled ‘Wexford Stories’. ‘Wexford Stories’ is a unique opportunity to encourage directors/producers nationwide team with 1 of the 10 Wexford Writers who have previously taken part in Wexford Screen Writers Professional Development Workshops run by the Arts Office and Bodecii Film in 2017 -2018. The outcome of this intensive screen writing programme, where the writers were mentored by film industry professionals, are ten short screenplays that create exciting, dynamic and engaging screen stories. Funding will be available through the scheme to support one short film with a budget of up to €10,000 funded through Wexford County Council Arts Office. The award also consists of project management support from Bodecii film ( based in Wexford) as well as €1,800 towards equipment hire with film lighting company ‘Teach Solais’. All applications for film fund must be emailed directly to terry@bodecii.com. Online applications only. The Irish Film Board are acceptong submissions for SHORT STORIES, which invites filmmakers to use their imagination, creative story-telling and visual talent to excite audiences with succinct, inspiring and even entertaining films. SHORT STORIES are live-action or animated fiction films between 2 to 5 minutes in length and have a budget of €20K. Films may be made in the English or Irish language. If produced in the Irish language, subtitling will be necessary for festivals and sales worldwide. The deadline is 1pm Friday 23rd March. * The application budget should reflect costs for delivery as above and subtitling if applicable. Bord Scannán na hÉireann/the Irish Film Board (IFB) wishes to notify applicants that the 2018 Guidelines for its Production and Development Funding schemes have been published. These provide important information including details of the IFB’s criteria and requirements, funding levels available and deadlines for submissions. The introduction of a new development budget template for use with all submissions to the relevant schemes. The deadline for applications to the International Television Drama Development scheme will be 28th February, 29th June and 31st October 2018 only. The Arts Council has announced the deadline for the 2017 Reel Art scheme. Launched in 2008, Reel Art is designed to provide film artists with a unique opportunity to make highly creative, imaginative and experimental documentaries on an artistic theme. Operated in association with Filmbase and the Audi Dublin International Film Festival, Reel Art will wholly support two films with grants of €70-€80,000 per project. Reel Art films will premiere at the Dublin International Film Festival in February 2019. The deadline for receipt of applications is Friday 13th October 2017 at 5pm. Projects successfully funded through the Reel Art initiative may be eligible for additional Exhibition Support Funding of up to €12,500 following completion and premiere at ADIFF 2019. This funding is offered by the Arts Council in order to assist film artists in maximising their audiences nationally while also supporting the film artists, who made the films, to work in an international context. Fionnuala Sweeney, Head of Film for the Arts Council notes “The Reel Art Awards are very important to the Arts Council. They demonstrate clearly the Arts Council’s passionate support for innovative and challenging work from film artists with distinctive creative visions. We hope that the addition of a dedicated exhibition support fund will significantly enhance opportunities for successful film artists to reach their audiences in the most appropriate ways possible for these unique films”. Film artists interested in applying for Reel Art are invited to attend an information session on the scheme on Tuesday 5th September at 3pm in Filmbase, Curved Street, Temple Bar, Dublin 2. This session will outline the purpose and priorities of the award and will answer questions on the scheme. Anyone interested in attending should register their interest by sending an email to reelart@filmbase.ie<mailto:reelart@filmbase.ie>. Guidelines for Reel Art 2017, together with application forms for the scheme are available for download from the website www.<http://www.reelart.ie>filmbase.ie/reelart as are details of previous Reel Art projects. TG4, Bord Scannán na hÉireann/Irish Film Board (IFB) and the Broadcasting Authority of Ireland (BAI) are collaborating in the Cine4 Development Scheme, a new joint-funding initiative to support the development and production of feature films in the Irish language. Open to live-action, feature-length, drama film projects in the Irish language, the Cine4 Development Scheme aims to encourage strong storytelling, visual flair and high production values appropriate for the big screen. The first round of applications for feature-length projects has been reviewed by a panel of assessors from TG4, BSÉ and BAI. There were 30 applications from 21 companies and assessors remarked on the high quality of the submissions. Today the successful five companies who will be offered development budgets up to €25,000 have been announced. The successful companies are Abú Media with the project, ‘Finky’; Danú Media with the project, ‘Saoi’; Fíbín Media with the project ‘Finscéal’; Macalla with the project, ‘Arracht’; and, Wildfire Films with the project ‘Sail Óg Sarah’. Developed screenplays and production plans from these companies will be assessed further, with two of these chosen for entry into the next appropriate round of the BAI Sound & Vision scheme for production funding. The two films with budgets of up to €1.2million produced as a result of the Cine4 Development Scheme will be given a full festival life and theatrical release prior to their broadcast premiere on TG4. Because of the strength of the applications from the initial round, TG4, the IFB and the BAI also today are delighted to announce a call out for applications for the second round of the Cine4Development Scheme. The deadline for this second round is October 6, 2017. 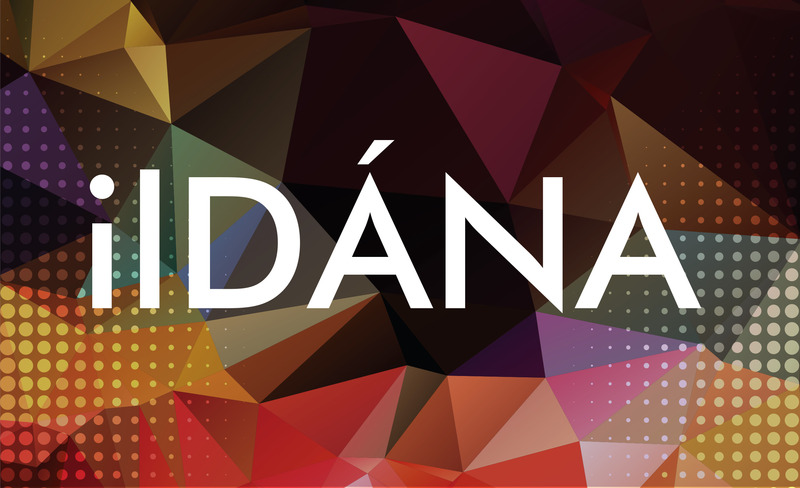 TG4 and the Arts Council/an Chomhairle Ealaíon, in association with Galway Film Centre, have announced a new round of ‘ilDÁNA’. This is an exciting new opportunity for documentary filmmakers to make a once-off, landmark and cinematic long-form documentary on the arts in Irish. Two projects will be selected with funding of €80,000 each for creative documentaries which will have both a theatrical window as well as a primetime TG4 broadcast. The deadline for applications is October 20th. Filmmakers are encouraged to be explore subject matter and approaches that are creative, inspired, distinctive and ambitious in scope to deliver a 60 to 70 minute film. Applications for feature-length projects with budgets of up to €1.2million that meet these criteria will first be assessed by a panel of assessors from TG4, BSÉ and BAI. Five applications annually will be offered development budgets up to €25,000. Developed projects will then be assessed further with two of these chosen for consideration in the next appropriate round of the BAI Sound & Vision scheme for production funding. The two films produced annually as a result will be given a full festival life and theatrical release prior to their broadcast premiere on TG4. Galway Film Centre and CÚRAM, Centre for Research in Medical Devices, have announced the return of Science on Screen, a funding strand for creative documentaries set in the world of science. The Science on Screen project will 100% fund one 26 minute film with a budget of €35,000. This TV half hour programme/short film will be based around an area of research currently underway in CÚRAM, NUI Galway. In 2016, the Science on Screen scheme, supported by the Science Foundation of Ireland (SFI) Discover Call, enabled the production of two films, ‘Feats of Modest Valour’, a touching portrait of three individuals with Parkinson’s Disease and the scientists who are developing a new medical device, which could potentially halt or even cure the disease; and ‘Mending Legends’, which looks at the devastating effects of tendon injury on sports people and the team of scientists who are working to form the world’s first 3D cell assembled tendon prototype. See the trailer for Mending Legends here. See the trailer for Feats of Modest Valour here. A detailed treatment of max. 2,000 words to include a narrative and visual outline of the film. Excerpts of Director work and any other artistic references which supports the submission (as online links and / or attachments to the email). Successful shortlisted applicants must be available for interview on Wednesday May 3rd(TBC). dlr First Frames scheme is a unique opportunity to encourage filmmakers to create exciting, dynamic and engaging screen stories. Its aim is to provide funding and support to emerging filmmakers looking to develop ambitious and creative short films based in the Dún Laoghaire-Rathdown (DLR) region. Filmmakers are encouraged to be ambitiously bold in their storytelling, and to use the diversity and variety of locations available in DLR as background and inspiration for original, vibrant films. This scheme is fully funded by Dún Laoghaire-Rathdown County Council Arts Office and dlr Local Enterprise Office, and managed by Filmbase. Additional equipment and facilities support is provided by the National Film School, IADT. First Frames welcomes a diversity of filmmaking styles, themes and creative approaches. The principle requirements are good stories, and a passionate vision for filmmaking. The goal is to open the door to new and emerging Irish film talents. Dún Laoghaire-Rathdown County Council’s purpose in promoting this opportunity is to support emerging filmmakers to make vibrant and compelling films and to increase awareness of the variety and flexibility of locations available in the region. Funding will be available through the scheme to support two short films with budgets of up to €10,000 each, with additional equipment and facilities support from Filmbase and IADT valued at up to €10,000 per project. Bord Scannán na hÉireann/the Irish Film Board (IFB) has published updated Funding Guidelines for 2017 for its production and development schemes. Applicants are advised to familiarise themselves with these Guidelines (available on the relevant section of Funding Programmes on the website) in advance of a submission to the IFB. Filmbase’s next #GetIntoFilm information evening will take place at Filmbase on Monday 13th February on short film funding opportunities for filmmakers in Ireland. Filmbase are hosting an information evening on funding opportunities for short filmmakers in Ireland. There are a significant number of short film schemes and funds available to filmmakers in Ireland in 2017 supporting a range of live action, animation, documentary and experimental film projects. These opportunities include those from Filmbase, broadcasters, Film Commissions and regional Arts Offices, the Arts Council and the Irish Film Board. The information session will be an opportunity to outline the aims and objectives of funds which are available this year and to highlight the key requirements of each one. Other funds will also be covered in the session. Bord Scannán na hÉireann/the Irish Film Board (IFB) is now accepting applications for Frameworks; a scheme for the making of animated short films. Projects selected for funding will combine creative exploration with an ability to appeal to a general audience. Applications are invited from producer/director/writer teams (where the producer and director is not the same person) with the short films being a maximum duration of 6 minutes. Films may be made in English or Irish and up to 4 projects will be selected for the scheme. Submissions will be examined, with consideration given to the treatment, creative notes and the creative team and a shortlist of teams will be invited to attend an interview. The deadline for applications is 1pm Friday 10 March, 2017. Submission guidelines and details on how to apply can be found here. Northern Ireland Screen intends to use Lottery Funds, provided through the Arts Council of Northern Ireland, to support the production of Short Film. By offering structured, merit based, opportunities Northern Ireland Screen intends to develop new and emerging writing, directing and producing talent to the point that it is of interest to the wider film, television and digital content industry. Northern Ireland Screen runs two short film application calls per financial year. The current call closes for applications on Friday 23rd September 2016. Bord Scannán na hÉireann/the Irish Film Board have announced three new short film schemes designed to create opportunities for emerging filmmaking talent. These new schemes are: FOCUS SHORTS, REAL STORIES and SHORT STORIES. The IFB will also aim to achieve 50/50 gender equality in the roles of writer, director and producer, across all of these short film strands. REAL SHORTS is a new short documentary film scheme which will enable creative documentaries with high cinematic production values capable of reaching an international audience through theatrical and festival exposure. The filmmakers are encouraged to produce work with strong personal voices, presenting material which utilises the emotional and aesthetic technique of cinema. SHORT STORIES is the final new scheme announced today which invites application across live action and animation projects. Filmmakers are encouraged to use their imagination and deliver succinct, creative and entertaining films. For the first of this series, applicants are invited to present projects on the theme of TRIBES. The brief is wide and all encompassing; from ethnic groups to football fans, families to political parties, enthusiasts to pessimists; we’ll leave you to decide which type of tribe fascinates you the most. SHORT STORIES can be from 3 to 5 minutes in length and have a budget of €15k. The very successful animation short film scheme FRAMEWORKS, produced in partnership with RTÉ, will remain unchanged. Irish language applications will be welcomed across the schemes. The IFB will back the promotion of the short films produced under these schemes across international festivals and beyond. FilmOffaly, Offaly’s Film Commission in association with Filmbase have announced the FilmOffaly Short Film Award 2016. The award of €8,000 aims to foster creative, resourceful filmmaking in the county. Up and running since 2008, FilmOffaly are looking for unique, original stories by talented new filmmakers, professional and novice alike. The only stipulation is that the filming must take place in Offaly. The winning applicant will receive €8,000 towards the cost of their production, a local premiere, one year’s Filmbase membership for the writer, producer and director of the winning film. Also included in the bursary is a 50% discount on production equipment and/or editing facilities from Filmbase for the project and Filmbase’s Production Insurance to cover the shoot. FilmOffaly is Offaly County Council’s Film Commission, for further information and application forms please seehttp://www.filmoffaly.ie/#!filmoffaly-filmbase-short-film-award-201/c16ti or email filmoffaly@offalycoco.ie and (057) 9357400. The Arts Office welcomes queries and reminds potential applicants to read the guidelines carefully before applying. This funding initiative aims to foster creative, resourceful filmmaking in the county. FilmOffaly are looking for unique, original short stories/documentaries by talented new filmmakers, professional and novice alike. The only stipulation is that the filming must take place in Offaly. There will be one award to one successful applicant. The winning applicant will receive: €8,000 towards the cost of their production/ A local premier/ 1-year’s Filmbase membership to the Writer, Producer and Director of the winning film/A 50% discount on production equipment and/or editing facilities from Filmbase for the project/ Filmbase’s production insurance to cover the shoot. The award will be based on a two stage application process. Northern Ireland Screen’s Irish Language Broadcast Fund (ILBF) has launched its first call for 2016. The deadline for the first call is 12 noon on Friday 18th March 2016. In a recent review of the programming output of the ILBF, the ILBF investment Committee indicated a wish to see more content targeted at children and content with particular relevance or appropriateness to Irish Language Learners. The fund would welcome any enquiries in the interim period and would also encourage independent production companies who liaise with the broadcasters who have shown an interest in developing programme ideas, namely BBC NI, TG4 and RTÉ. The aims of the Irish Language Broadcast Fund are to promote the broadcast and production of quality Irish language content for an audience in Northern Ireland and beyond and to help grow the Irish language production sector in Northern Ireland. The fund is open to any Northern Ireland based production company. We also consider co-productions where at least one of the production companies is based in Northern Ireland. Emphasis should be placed on maximum used of Irish speaking Northern Ireland cast and crew. The minimum Irish language requirement is 75% of the spoken word. All programmes should appeal to a Northern Ireland audience. Given that successful projects require support from both a broadcaster and the ILBF fund, we encourage early dialogue with both the fund and the relevant broadcaster. All funding applications will be considered & ultimately be decided by the Investment Committee members. Short Shots is a new Filmbase/RTÉ New Short Film scheme that doesn’t just fund films, it offers the next generation of filmmakers a programme of development and production support. Championing Ireland’s diverse and dynamic emerging filmmakers, the scheme offers development support for shortlisted projects, as well as production and distribution support to the eventual greenlit films. People with good ideas should be encouraged to apply regardless of their creative backgrounds. A wide net will be cast to find new writers, producers and directors with a clear sense of visual storytelling and an original voice. The purpose of Short Shots is to stimulate a truly independent and unique approach to creative filmmaking. Through this scheme, Filmbase and RTÉ are looking for ambitious films and authentic stories that will excite and resonate with audiences. The culmination of the programme will be the opportunity of producing a short film with a production budget of €10,000 in astimulative and supportive environment. Looking for funding? Want to submit your work to festivals. Keep an eye on all the upcoming deadlines here. This scheme is for independent European production companies (established for at least 36 months) with an international track record who have recently produced an internationally distributed project and wish to develop a slate of projects (3-5) with international potential for cinema, television or a digital platform for which they own the majority of rights.